1. He’s dressed in red and makes his way through the snow but it’s not Santa. Can you name the rider pictured above? 2. Name three pro cyclists with “Santa” in their name. Mauro Santambrogio made the news the other day, pas de cadeaux for him? Orica-Greenedge have Ivan Santaromita and you could have Stefano Della Santa too but there are others, maybe even a Niklaas or Klaus too as it’s Christmas. 3. Name the 15 year old on the cover of Vélo magazine next to Sébastien Chavanel, then with FDJ, back in 2008. It’s Bryan Coquard. Vélo magazine did a series of features with an established pro offering advice to a junior. These days they’re rivals as Séb Chavanel specialises in leading out Arnaud Démare. 4. 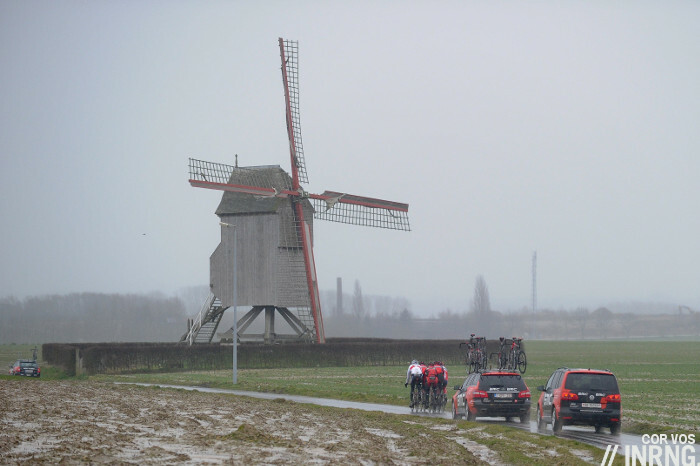 Name the strategic berg near this windmill in Belgium. The Molenberg. Rarely decisive by itself but identifiable and all part of the process of elimination that is a day’s racing in Flanders. 5. This year’s Giro started in Belfast, the Tour in Leeds and in 2012 the Giro started in Herning. Which was the most northern start for a grand tour? The internet says Leeds is 53.7997 degrees north, Belfast 54.5970° N and Herning is 56.1333° N so the Danish city of Herning wins. 6. Of the three grand tours this year only one visited its national capital, which one? 7. 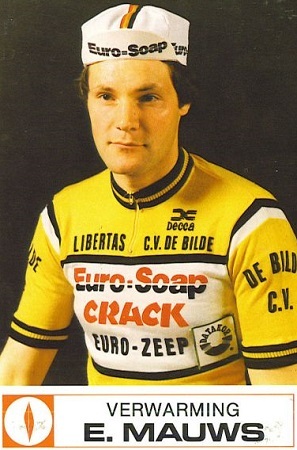 This Euro-Soap-Crack team member didn’t make it big as a pro. Can you name his more famous son? That’s André Boonen, father of Tom. 8. 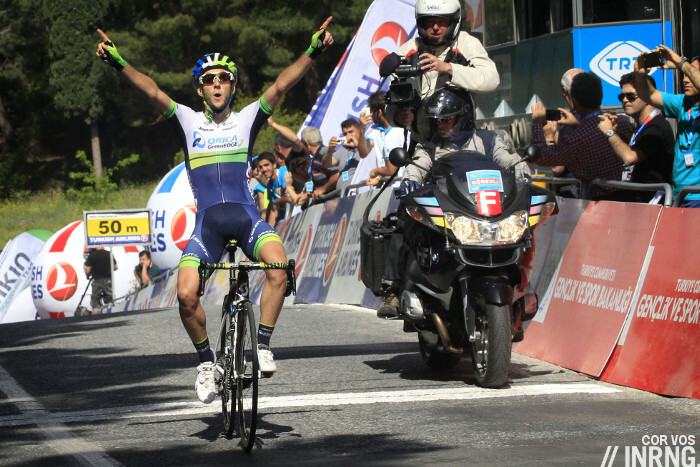 That’s Adam Yates winning in Turkey. Both he and his brother Simon have had a great season. Name four more sets of brothers in the pro peloton this year. For a bonus point name the brother and sister who are pro cyclists. There are many brothers in the peloton. The Velits are, like the Yates, twins. There’s Peter and Juraj Sagan, the Izaguirres, the Chavanels, the Schlecks, the Kreders, the Gilberts, the Ludvigssons, the Quintanas, the infamous Iglinskiys and more. The bonus I had in mind brother and sister Paolo and Elisa Longo Borghini but Daniele Ratto and Rossella Ratto works too. 9. Tony Gallopin won a stage of the Tour de France and wore yellow for a day. He comes from a big cycling dynasty. Uncle Alain was a pro who a handful of races and is now a DS at Trek Factory Racing while uncles Joël and Guy were also successful pros who rode the Tour de France. Which family member has won the French national road race championships? Marion Rousse was French road race champion in 2012 and comes from a big cycling family, she married Tony Gallopin in October bringing the first road race champion title to the Gallopins. 10. This might be the greatest cycling photo of all time. Where was it taken? The Puy de Dôme in Central France, the photo captures the rivalry between Raymond Poulidor and Jacques Anquetil but like many moments snapped in an instant there’s a lot more context to it. A story for another day. 11. 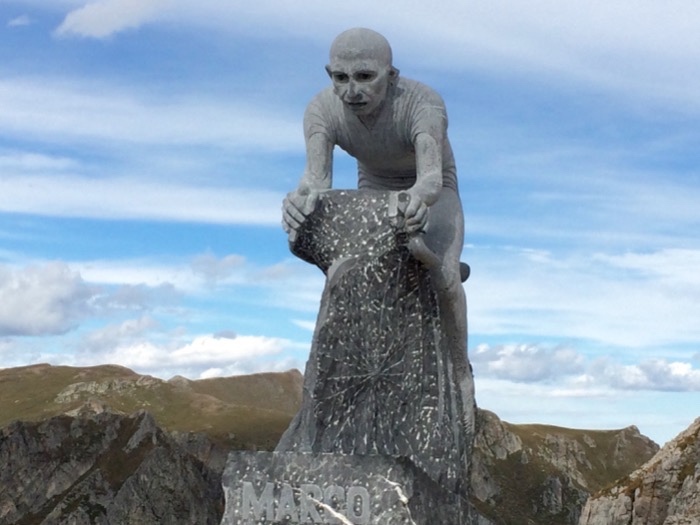 How many Marco Pantani memorials are there? Too many to count? There’s the one on the Colle Fauniera above, the Mortirolo, the Galibier each marking decisive moments in Pantani’s racing career. There are several on the way up Montecarpegna alone. There are others in Cesenatico, Aulla, Imola and Les Deux-Alpes too. 12. What race is Noël Vantyghem referring to above? 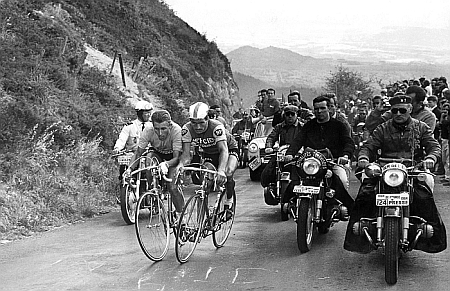 Paris-Tours, the one major race that Eddy Merckx never won. 13. The Critérium du Dauphiné is one of the best races of the year and belongs by the Tour de France owners ASO. Is it profitable? Yes..but just. According to the latest set of accounts which date from 2013 the race earns ASO an annual profit of just €64,734. 14. What’s the average World Tour team budget for 2015? “Around 26 to 27 million USD” says Jonathan Vaughters in a recent and interesting interview with cyclingnews.com. In Euros that’s about €21 million. 15. 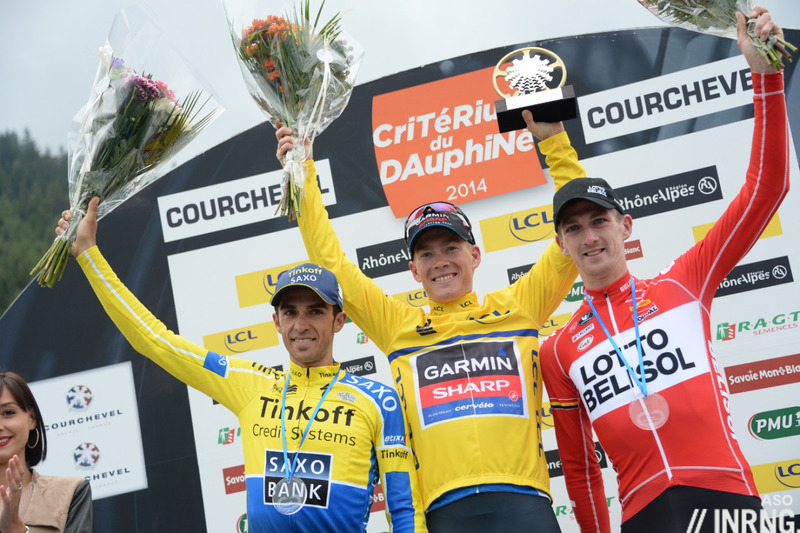 Which team won the least prize money in the Tour de France this year? 16. Are race radios allowed in World Tour races for 2015? No, they’re supposed to be banned completely in 2015, including World Tour races. Do the teams know this or are radios being packed for the Tour Down Under? 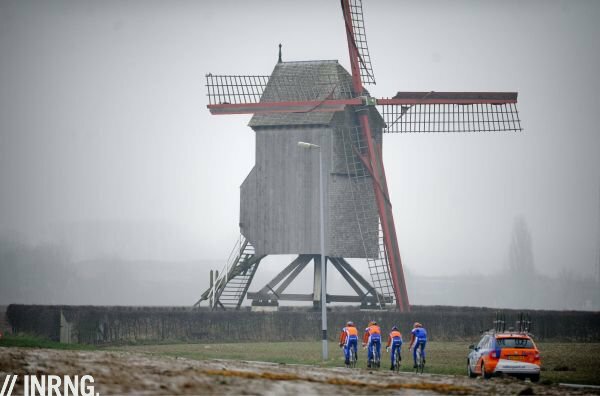 Will there be another fight between the teams and the UCI? 17. What’s the maximum distance permitted for a one day professional road race? Normally 250km going to 280km on paper for the Worlds… but a trick question because the Professional Cycling Council, the committee of the UCI and team owners and others can allow a longer race. Milan-Sanremo is 298km, more if you include the neutral section. 18. Which is the only branch of the sport where competitors must pin a number on their shoulders? 19. Who is the dear hunter pictured above? Andy Schleck. You could form a hunting and fishing club within the pro peloton. 20. What car does Jean-Christophe Péraud drive? Who read the book review of Nouveau Cycle? The answer was in there, he’s just bought himself an Aston Martin, an eight year old second hand model. 21. Which pro cyclist has had a insect named after them? Nairo Quintana has had a beetle named after him says El Tiempo. He’s adopted the nickname El Condor – he was flapping his arms on the Giro podium in avian imitation – which seems more noble. But the beetle isn’t as bad as it sounds as for years Colombian cyclists have adopted the collective nickname “escarabajo” or beetle too. 22. 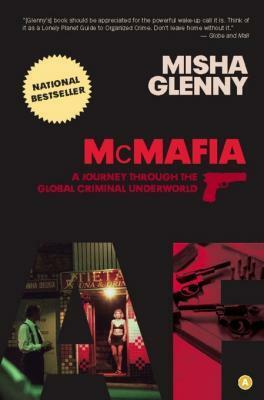 It’s not everyday you read a book about organised crime and find references to a senior UCI member. Who gets name-checked in Misha Glenny’s McMafia? Katusha boss Igor Makarov who at one point personally owned 0.4% of global gas supply. 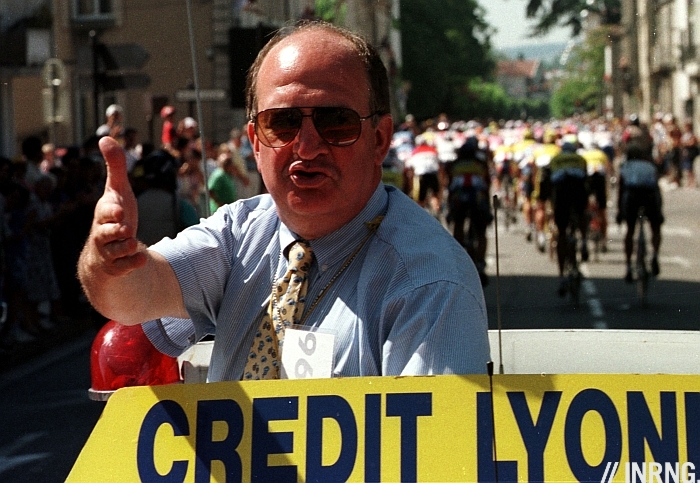 He’s now on the UCI’s Management Committee. There’s nothing scary in the book about him in Glenny’s book. For that you’ll have to look up the leaked US diplomatic cables. 23. Who are the two smiley people pictured above? 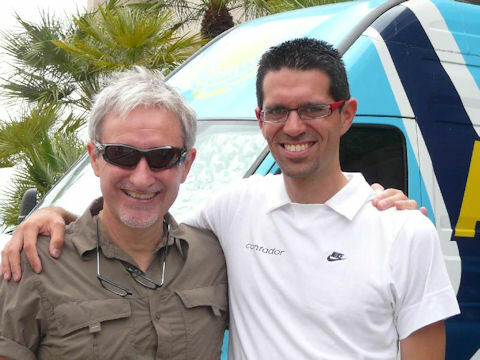 That’s Fran Contador on the right, Alberto’s brother and agent. For the man on the left many said “Zelaya”, seemingly thanks to an image search where a fan has incorrectly spelt the name in a caption. But it’s Celaya, with a “C” not a “Z”. Celaya now rhymes with “lifetime ban” thanks to USADA. After working with US Postal and Discovery he was hired by Johan Bruyneel to work for Astana. 24. 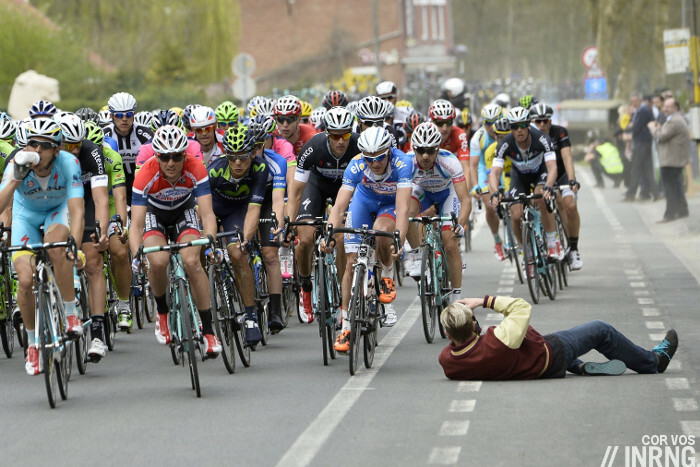 Photographers work hard to get close to the action and some fans want to experience the action up close. But there are limits. Can you name the race where “photo guy” became part of the street furniture? Gent-Wevelgem. The rise of selfies was a backstory to the 2014 season as fans stared at their phones rather than the fast-approaching riders. But this guy deliberately put himself in harm’s way. An unconscious selfie, knowing he’d make the newspapers? Garmin-Sharp are one name, they’ve had to buy Shimano parts to complement the Rotor and Mavic components they have. Of course it’s not like they pay full price. It’s common with other teams doing mix and match, we’re likely to see Tinkoff-Saxo doing it as they want Shimano parts but have Specialized as a sponsor including Roval wheels; maybe the same with Etixx-Quick Step using FSA parts in 2015 and covering with Shimano until the FSA electric groupset appears. 26. Which World Tour team uses threaded bottom bracket shells rather than press-fit bearings? Team Sky with Pinarello frames and Europcar on Colnagos, there might be more. Italian tradition or a sensible solution to avoid the dreaded BB creak? 27. Why do inner tubes smell of fish? The presence of amines, a chemical in the manufacture of butyl inner tubes. 28. Tom Beans, Jake Birdsong and Michael Snow are the literal translations of three rider names in the World Tour. What’s their original name? 29. Name the odd one out among “peloton”, “échelon”, “échappée”. Échelon because if all three are French words only peloton and échappée are used in cycling. In English “echelon” is used to describe the diagonal formation of small groups in a crosswind but in French this is a “bordure” or an “éventail”. So English sometimes uses French words for cycling that the French don’t use. 30. “The Sheriff”, “The Little Gardener” and “The Chimney Sweep” were the nicknames of which riders? Francesco Moser, maybe the Italian was inspired by a spaghetti western; Luis Herrera was the first Colombian to win a stage of the Tour de France; and Maurice Garin, the first winner of the Tour de France. Well done to all those who tried. Because of the 30 questions and the sometimes subjective take it’ll take a moment to work out the prize winner but hopefully the answers offer some explanations in the meantime. Nice quiz! Thanks for the great blog and Merry Christmas. BTW, answer for question #1 should read 1988 Giro, not 1998. 1998 to 88 fixed, thanks. Deer hunting with a shotgun? 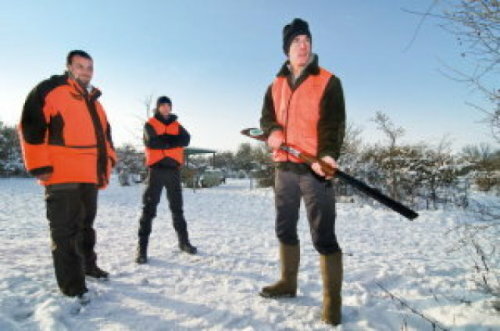 “Dear hunter” was a play on words, nice guy Andy Schleck going hunting. But yes, it’s common to hunt this way for deer, boar etc. Am I right in thinking that Boonen senior currently works for Ridley? I think so too, he’s a sales rep. I thought I hadn’t dreamed it! I visited the Ridley factory a few years ago to write an article and he was mentioned then. Many thanks for the quiz (I didn’t do very well), and also for the continued excellent features, stories and analysis. Wishing you health and happiness for the New Year. See http://velonews.competitor.com/2014/12/bikes-and-tech/fsas-electronic-drivetrain-sponsor-rumor-roundup_353443 for more. Bora-Argon 18 seem to be doing the same too. He’s turning pro for 2015. Surprised he’s not joining Astana. I only got 10, but good fun, thanks! Warning, pedantic comment – I’m not sure that photo of Andy Hampsten is from 1988. The famous photos from the Gavia stage in 88 show Hampsten on a Huffy (re branded Land Shark, not a rebranded Serotta like the rest of the 7 Eleven team). I don’t think that 7 Eleven started riding Eddy Merckx bikes till 1989. 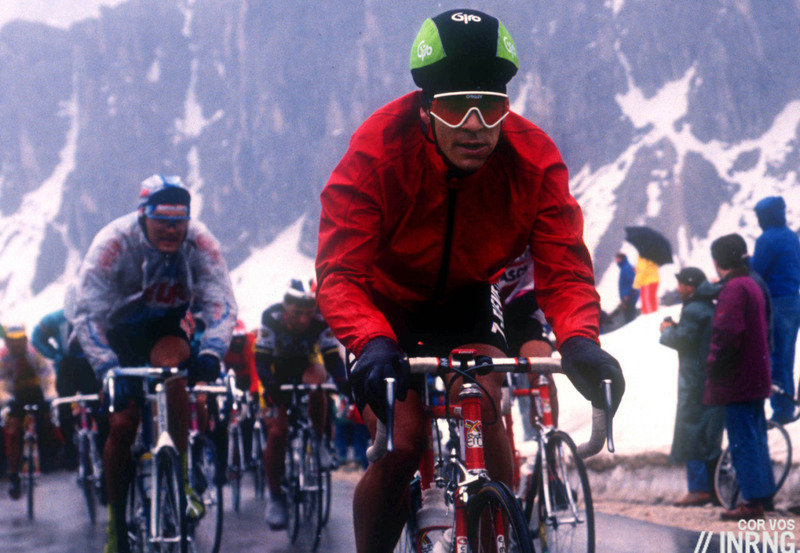 What troubles me though is that the weather in that photo looks like that ominous day in 88 and I think that Hampstem was wearing an all-weather Giro helmet and red shell jacket like the one in the photo on the earlier part of that stage. The Campy delta brakes on the guy behind speak more of 88 than 89 but having said that they were being used into the 90s (witness LeMond in 1990 and 1991). Having said all of that, what stage could it have been? I can’t remember such foul weather in 89 or 90. The mountains behind definitely have the look of the Dolomites (of which the Gavia is not a part) so it must be the Giro. Can anyone help? Also, AH is wearing number 1 in the photo in the quiz.That should be used by the winner of the previous year. Different bike (e.g. the fork is white, not red) than in the well known Gavia stage pics, and there he isn’t wearing a shell jacket (just a jersey and arm warmers), neither is anyone else. Also in those Gavia pics he’s not wearing a helmet, and the ski goggles have a yellowish tint, not a reddish one. It’s not 1988, my mistake. You’ve got the team bike with Shimano Dura Ace and he’s wearing one of the first Giro helmets. Probably 1990? Quibbles aside, I really enjoyed the quiz. And if AH had not been one of the questions, my score would have been one rather than two. That’s Andy in the 1989 Giro as confirmed by the rider. As Vince commented, he has the #1 plate as the winner of the 1988 Giro.